As the time goes, the amount of information that is available for indexing by Google goes up. The Google search engine has to compromise to keep up with the volume and still show the results in split seconds – which it does very well, while still supporting that advanced Boolean search syntax that only a tiny % of us are using. 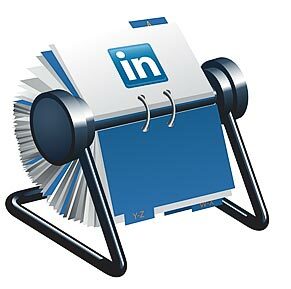 Not all profiles on LinkedIn, even those that have been around for a while, are indexed. Shane Bowen‘s post on SourcingHacks “What You Didn’t Find While X-Raying LinkedIn” demonstrates that. If a profile (or any page for that matter) is indexed, which means that is can be found using Google search, it may not necessarily be found by searching for a specific phrase visible on that profile. In particular, the phrase “people you know” that Glen Cathey’s post on BooleanBlackBelt titled “What’s the most effective way to X-Ray search LinkedIn?” suggests to use, as the best way to search, works in some cases but doesn’t work in other. Here is an example that has only a handful results and makes it clear what may potentially happen. To create this example I just picked a couple of rare skills to search for. picks one false positive if you don’t exclude “dir” but otherwise finds 12 results. Yet other simple phrases like “profile on LinkedIn” being added to the search result in zero profiles found. Conclusion: It’s good to have the right expectations about searching. There may be different ways to find extra target profiles by varying ways to search, depending on 1) what you are looking for and 2) what Google decides to index: pages and phrases on those pages. This is usually not a problem and you will find all you need with one common phrase, unless you are searching for a purple squirrel, in which case it helps to be aware Google’s (understandable) “compromises” in indexing. Or maybe try using a slightly more advanced syntax. On a philosophical note, perhaps Sourcing is becoming more Art than Science. Hold on now. 🙂 Just to be clear, I didn’t and don’t recommend using “people you know” as the best way to search LinkedIn. I’ve seen people recommend “people you know” in the Boolean Strings group, so I decided to poke around with that phrase and other words. They yield the exact same 12 people. Also, if your example was targeting a specific location instead of the entire U.S., there are other searches and search engines we could use to replicate the exact same results. The whole point of my post was to stress that there is no single most effective way to search LinkedIn via Internet search engines – there are many different ways, and likely some yet to be discovered. Correct; the “Boolean” (meaning relying on the URLs) in this case works best. I thought your point was to drop more complex operators and only use this phrase instead. OK, maybe I got confused because of the blog title.